Imagine Anything. Get to Everything. The CR-V kickstarted one of the most popular classes of vehicles on the road today—the crossover—and the 2014 Honda CR-V continues to shape and guide the crossovers of the world. The latest model is one of the most stylish, practical, and well-equipped vehicles in its class, offering drivers one of the most versatile family vehicles without needing to compromise on features, comfort, or capabilities. The CR-V does it all and gives you the ability to tackle whatever life throws at you. 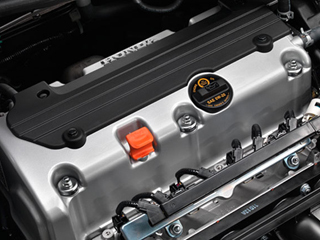 With your choice of two or all-wheel-drive and a powerful yet fuel-efficient 2.4L four-cylinder engine, you’ll always be in control of the 2014 Honda CR-V. Honda engineers have ensured that you don’t need to compromise on power or fuel efficiency when you’re behind the wheel of a CR-V, and features like the MacPherson Strut Front Suspension and Hill Start Assist give you all the confidence you need in your new crossover. The most powerful and efficient engine the CR-V has ever had, this 2.4L four-cylinder is good for 185 hp and 162 lb-ft of torque. 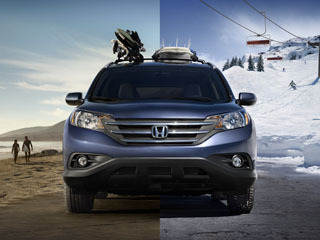 Whether you’re on your daily commute, running errands, or taking the family on vacation, you’ll have plenty of power to get the job done in a Honda CR-V.
For just a small dip in fuel economy, you can add on Honda’s Real Time All-Wheel Drive with Intelligent Control System, which can sense a loss of traction and electronically transfer power to the wheels that need it the most—drivers don’t have to do a thing, the CR-V handles it for you. Electronic activation reacts more quickly than competitors’ hydraulic all-wheel-drive systems. When you’re behind the wheel of the CR-V, it is almost like you’re riding on air. Turns and bumps are no competition for the MacPherson Strut Front Suspension, and you’ll barely notice any body roll or tire noise. 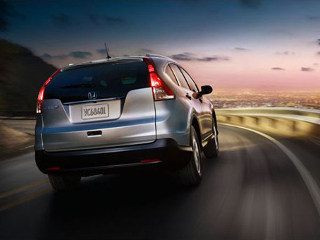 Honda’s crossover offers up one of the most peaceful driving experiences available. Each CR-V features Hill Start Assist, giving you the confidence you need to avoid rolling when you’re parked on a hill. Hill Start Assist keeps the brake line pressure when you let your foot off of the brake to move it over to the accelerator, giving you plenty of time to put your foot to the gas and be on your way. 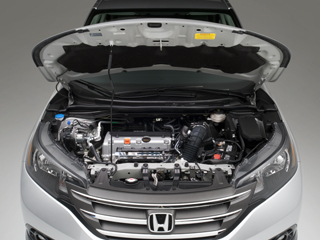 Honda engineers have given you the latest powertrain technology at every level, including the throttle system. High-tech electronics replace the traditional throttle cable and give you a greater, quicker response and driving experience with minimal need for maintenance or adjustment. 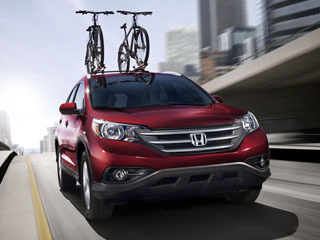 Safety has always been one of the highest priorities of Honda, and that’s never been truer than on the 2014 Honda CR-V. 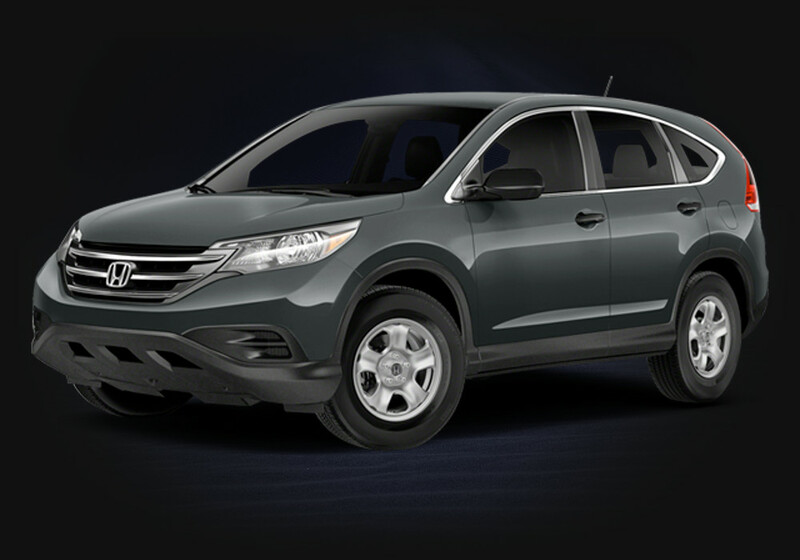 This crossover features state-of-the-art active and passive safety technology, ranging from the very frame of the CR-V—built with the ACE Body Structure—to an Advanced Airbag System and a Tire Pressure Monitoring System. The CR-V’s technology helps keep you and your passengers safe. 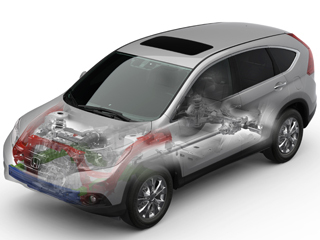 It stands for “Advanced Compatibility Engineering,” and the CR-V is designed to do far more than just crumple in the right places when involved in a collision. 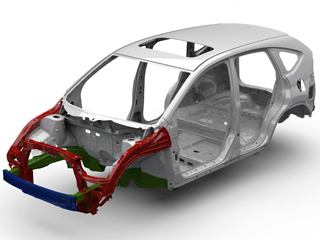 Honda’s ACE Body Structure is built to redistribute crash energy away from occupants in the event of an accident, actively reducing their risk of injury. Every front and rear seat features 3-point seat belts made to ride across the chest and the lap to help keep you secure in an accident. Automatic tensioners are found on the front seat belts, and they help lock your seat belt in place and provide maximum tension when needed. If you’re involved in an accident, you’ll be grateful for Honda’s airbag systems. 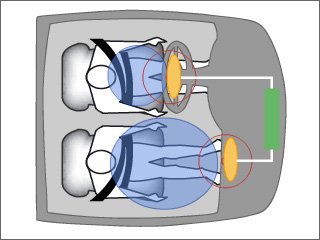 Unlike traditional airbags, the dual-stage multiple-threshold front airbags on the CR-V deploy differently based on what size of occupant is in the seat, helping to reduce airbag related injuries and do what airbags are meant to do: cushion you in an accident. Keep control of the CR-V in even the toughest of road conditions with the Vehicle Stability Assist feature, complete with traction control to prevent wheelspin. This system helps you regain your course by reducing engine power and/or braking individual wheels when it notices that you’re over or understeering, setting you back on course. 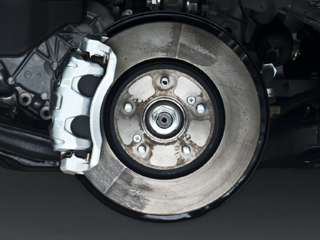 During hard braking situations, it used to be possible for your brakes to lock up. 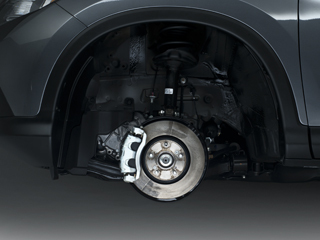 The CR-V’s Anti-Lock Braking System uses a modulator that pulses your brakes during hard, fast braking to help prevent your wheels from locking up. Complete with Electronic Brake Distribution, the system even helps balance braking forces based on the weight distribution in the vehicle. Some of the most dangerous accidents can be caused by something as simple as an imbalanced, uneven set of tires, but now there’s no need to kick your tires to see if they need air. 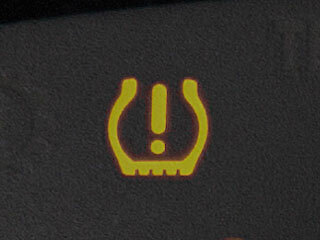 Honda’s Tire Pressure Monitoring System alerts you when the air pressure in any of your tires is low. When it comes to features, it’s tough to beat a Honda. The 2014 CR-V has some of the best standard features in its class, and when you look at everything that’s available for upgrade, including a Navigation System with Voice Recognition and a DVD Rear Entertainment System, it clearly has the ability to be one of the best-equipped crossovers on the market. Of course, we know many of you will be just as satisfied with the game-changing standard features package on each entry-level CR-V LX. Honda’s standard touchscreen infotainment system is state-of-the-art, syncing up all of your technology in one convenient place and giving you access to Pandora Internet radio, SMS texts, and more. You can even manage the i-MID from a set of steering wheel-mounted controls to keep your focus on the road while staying connected. 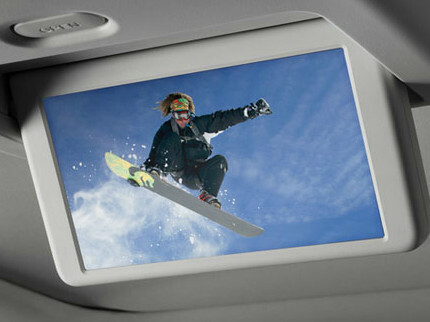 Whether you’ve got kids or adults in the back seat, the optional DVD Rear Entertainment System will keep them entertained on long trips. Just pop in a favorite cartoon or movie and you’ll be surprised just how quickly the “are we there yets” die down. And the wireless headphones ensure you won’t have cartoon theme songs stuck in your head. 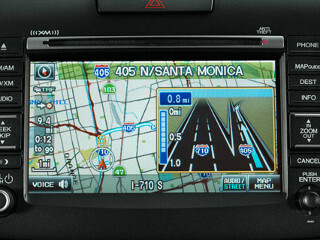 Not only does Honda feature an available satellite-linked Navigation system, but it also has Voice Recognition software built right in, letting you take control with a few words. It recognizes street names, numbers, and over 750 standard voice commands, making it easy to get where you’re going without getting lost. Honda makes all of their vehicles fuel efficient, but sometimes you need to take full advantage of everything your engine is capable of. 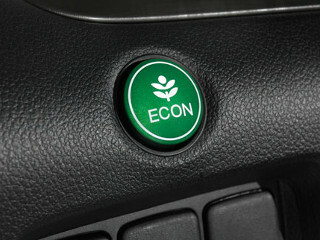 When you want to maximize your efficiency, just press the green ECON Button, and if you find yourself needing more power, another push of it tells the CR-V to give the engine all its got. Stay connected to your smartphone without any messy wires in the way. Honda’s Bluetooth HandsFreeLink system lets you not only make handsfree phone calls but also stream music wirelessly—either from your phone’s memory card, from Pandora, or services like Stitcher. And the best part? 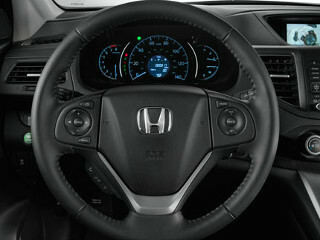 It’s standard on each CR-V.
Take control of your technology without losing control of the wheel. Whether you need to adjust your cruise control, switch tracks on your favorite album or playlist, turn up the volume, or answer a phone call, there’s a steering wheel-mounted button for that. Honda makes it easy to stay connected and safe behind the wheel. Just because you’re driving one of the most affordable and practical family vehicles around doesn’t mean you don’t have the option for luxury. The CR-V has some wonderful luxurious interior features, ranging from leather upholstery and heated front seats to a moonroof and a stylish, luxurious, modern exterior design. Although the recent updates to the CR-V’s exterior may be slight, they give it a certain flair and a style that remind you that although the CR-V means business, it looks great no matter what the world has to throw at it. 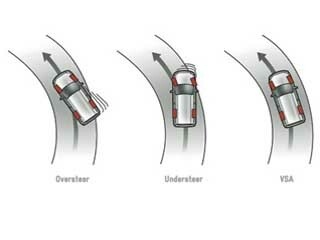 Aerodynamic curves not only make Honda’s crossover look great but help you get the most out of every drop of fuel too. When you want a spacious interior without needing to drive a gigantic vehicle, the CR-V is for you. It parks like a small car yet has plenty of room for five inside. Soft bucket front seating ensures that you’ll be comfortable on even the longest of drives, and the rear seating offers up more than enough headroom for full-size adults. 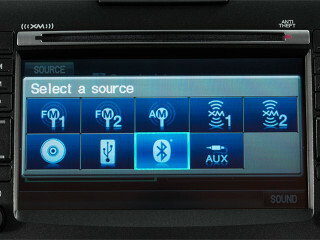 Honda gives you access to sunshine and fresh air at just the push of a button. 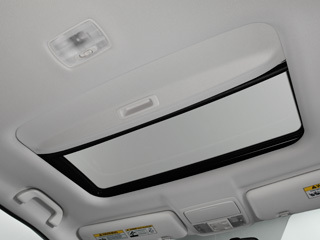 With just one touch, you can open, close, or tilt the moonroof, and a sliding sunshade keeps you cool while still giving the CR-V that open-air feeling. You can find the moonroof on EX and higher trim levels. Few things are worse than needing to climb into the driver’s seat in the dead of winter, and while Honda can’t make the walk to the CR-V more comfortable, once you get in the driver or front passenger seat, the CR-V can start warming you up with the optional heated front seating. Choose from high or low heat for just the right amount of comfort. 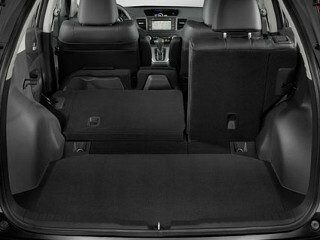 The spacious interior of the CR-V gives you plenty of passenger room, but what if you don’t need the passenger space? The 60/40 split rear seat lets you expand the cargo storage area to accommodate up to 70.9 cubic feet of cargo storage space. 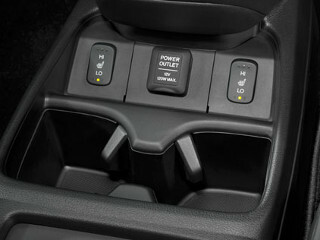 Easy, one-pull levers make it a snap to convert the CR-V for cargo hauling. Fitting into a tight parking space is hard enough without worrying about your mirrors. Honda gave the CR-V folding power side mirrors to help reduce the risk that they will be dinged or clipped right off by a careless driver, helping to keep your crossover pristine. 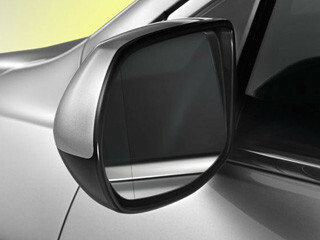 Your driver side mirror even features a wide viewing angle to give you better awareness of your surroundings. **Based on 2014 EPA mileage ratings. Use for comparison purposes only. Your mileage will vary depending on how you drive and maintain your vehicle.